Hi again, everyone! I’m Midori Blackmore from the MOSHI MOSHI BOX Harajuku Tourist Information Center. 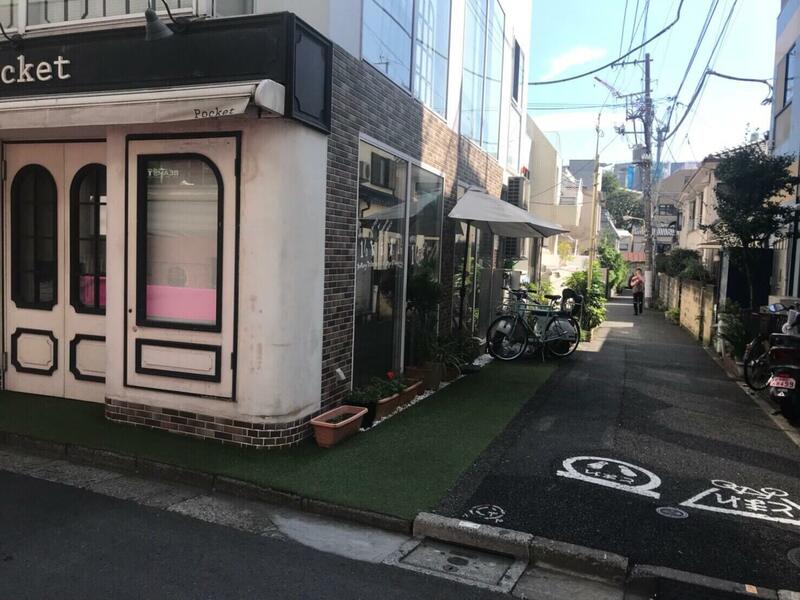 I find there’s a surprisingly large number of people who want to go to a stylish cafe having made the effort to come to Harajuku but aren’t any good with sweet things like desserts. A lot of Harajuku’s photo-worthy treats and desserts are packed with cream and such and are super sweet, so it can be difficult inviting someone out who isn’t a sweet tooth. 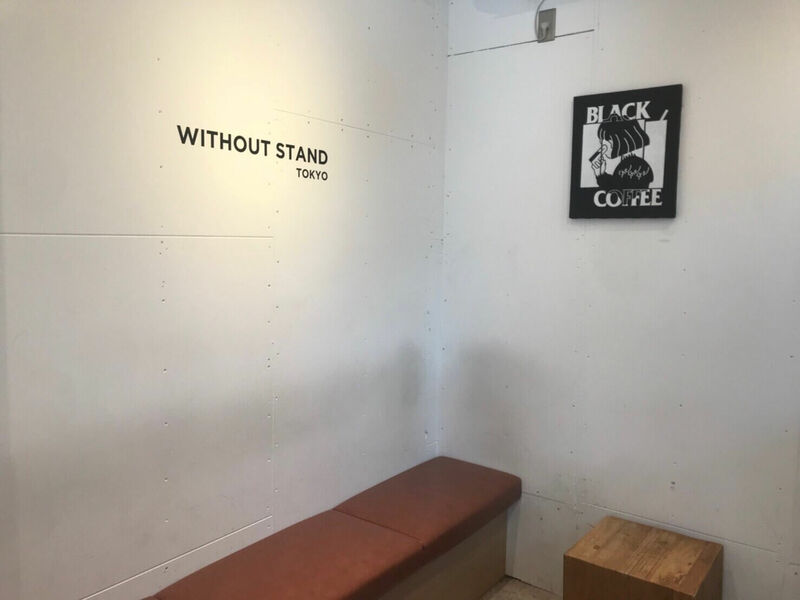 So I want to recommend W/O STAND HARAJUKU to those people, a fancy coffee stand in Ura-Harajuku. Let’s go! 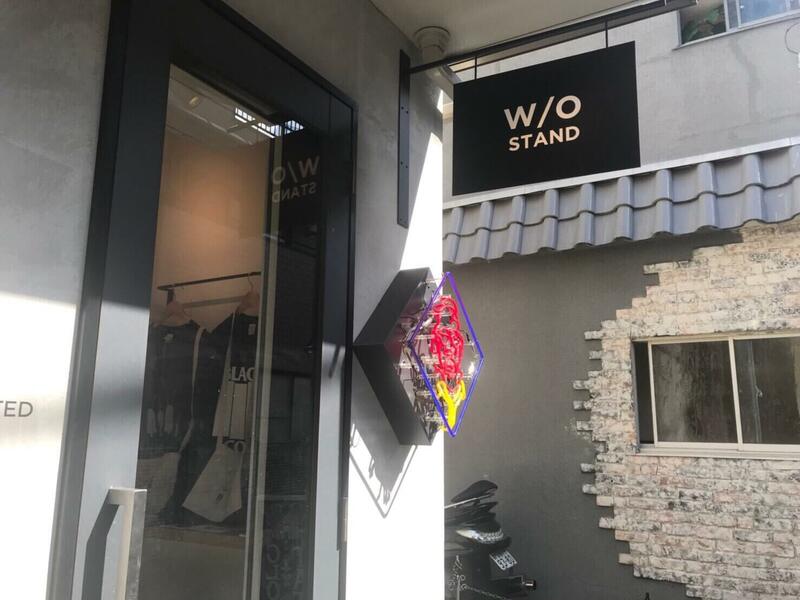 You will find it behind the MOSHI MOSHI BOX diagonally opposite the 7-Eleven along Tonchan Dori – or Tonchan Street. Look for the grass plot, that’s your landmark. Continue down this road to the end. You will come across a small sign. 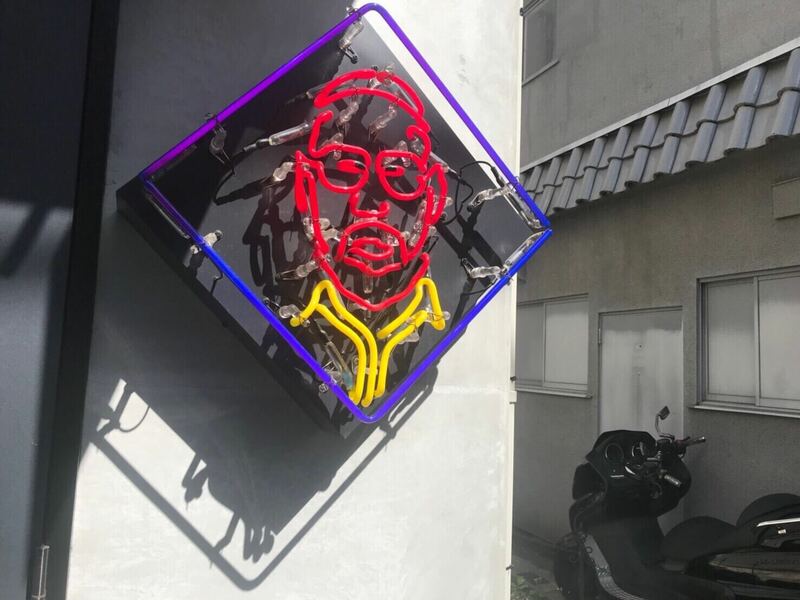 The neon guy is your final landmark – that’s when you know you’ve arrived. Upon entering there is cool music playing. The decor is very simple but sophisticated. 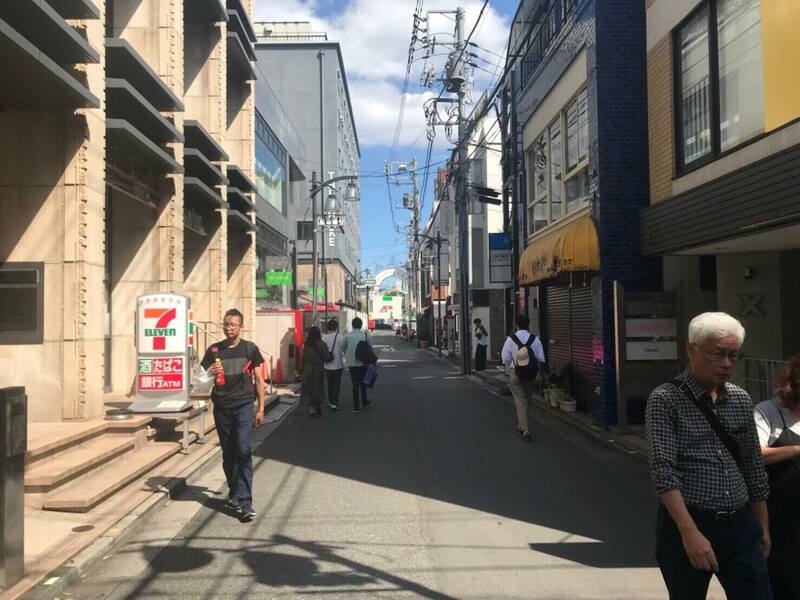 It’s a completely different and more mature atmosphere compared to Takeshita Street. You can order for takeout or enjoy your coffee indoors. 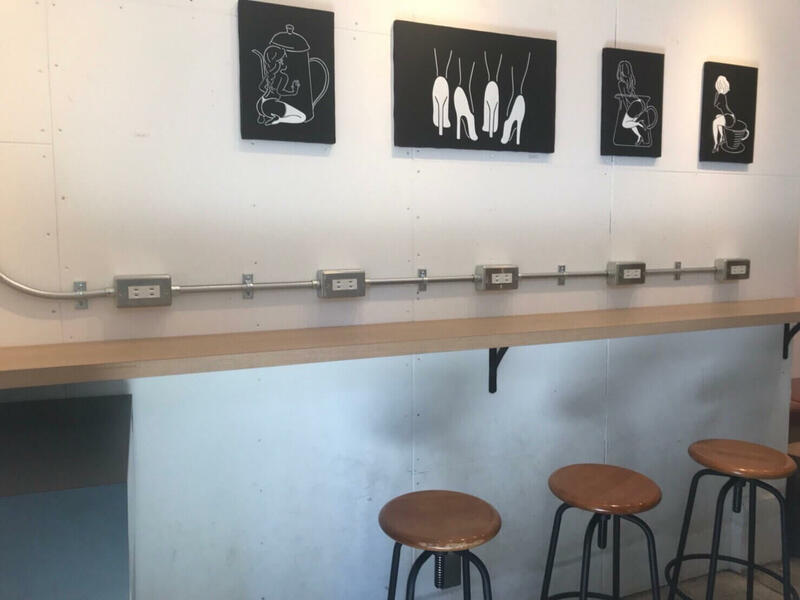 The counter even has electrical outlets so you don’t have to worry about your battery dying. I ordered the caramel macchiato. You mix together the coffee the lady brings to you yourself, but the two layers before you mix looks cute so I ended up snapping a photo. The sticker of the old guy is cute too. 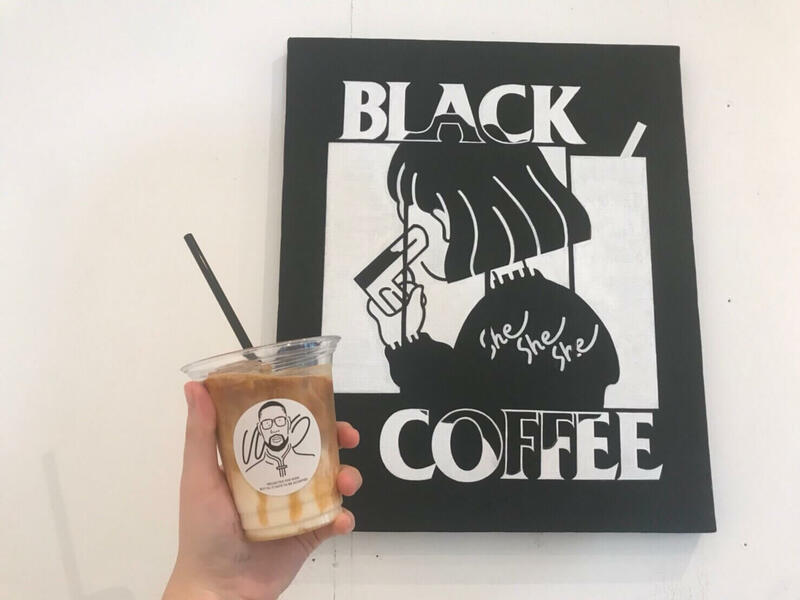 Every month they sell different coffees that look like desserts too. If you’re interested in what they have this month, then be sure to check out their Instagram page! So, what did you think? Cute ice cream and tapioca are nice too but try changing things up a bit by ordering an adult drink!